EXCLUSIVE | Controversial ride-share service Uber has reached agreement with Adelaide Airport to pick up passengers, in a major blow to the state’s taxi industry. InDaily understands an Adelaide Airport and Uber will hold a joint press conference around midday today to announce an UberX incursion into the lucrative taxi passenger pickup monopoly at the airport. Passengers at the airport are currently only able to use taxis or hire cars, including the luxury car Uber Black service. 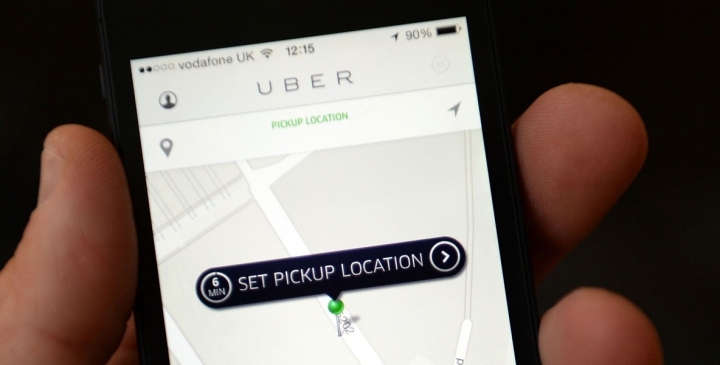 Uber’s app geo-blocks passengers from requesting UberX cars there. “As of midday today that (geo-block) will be lifted,” an Adelaide Airport spokesperson confirmed. The airport has allocated a 16-bay parking area on the western edge of its carpark as a dedicated pickup location for ride-share vehicles. United Taxi Association president Trimann Gill told InDaily the move would be a significant blow to the taxi industry, which was already suffering haemorrhaging income and increasing costs. “When the (State) Government bought into ride-share they said the airport, the ranks and (passengers hailing from the street would be) only for taxis,” said Gill. “If, out of the blue, Adelaide Airport is giving pickup (.. it is) not at all good for the taxi industry. Gill, who owns 59 taxis, said revenue was down about 30 per cent in only the past six months. Last year he owned 74 taxis, but has been reducing his fleet to eventually exit the industry altogether. He said ending the taxi monopoly at the airport would accelerate the death of the taxi industry. A spokesperson for SA Transport Minister Stephen Mullighan told InDaily whether particular operators can pick up passengers was a matter for the airport, as it is on Commonwealth land. “In two years time I don’t think taxis will be viable,” he said. “We’re trying to reduce the fleet and get out of the industry. Uber confirmed one of its executives would attend the joint press conference, but would not confirm the nature of the announcement. A spokesperson for the company said ride-sharing at the airport was good news for consumers. “Modern travellers like the convenience of using the apps they know and trust when they go abroad or interstate these days, so this is a win for consumers and the travelling public,” the spokesperson said. “We’ve worked closely with the airport to ensure our technology makes ground connections in Adelaide simple and safe for arriving passengers. According to the spokesperson, “thousands” of arriving passengers open the Uber app to look for a ride out of Adelaide Airport “every week”.